55 Rolls Royce Silver Wraith. 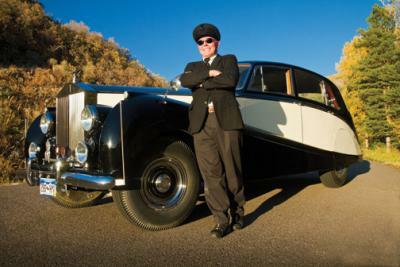 Owner Tim Borden has been known to dress up in a chauffeur’s uniform and take Lowell Whiteman School students to prom in his vintage limo, one of only seven built with an aluminum frame. When his wife, Janet, wears sunglasses and steps into the back seat, people thing they’re seeing a movie star, he says. Everyone has heard the “rural” myths about opening the creaky door of an old barn and finding a vintage pickup truck, Model T or Grandma’s 1950s Buick sedan, which she only took out once a week for the half-mile drive to church. 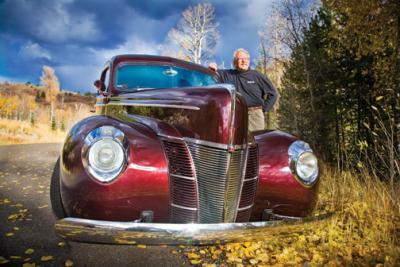 Steamboat Springs resident Maury Bunn got to thinking five or so years ago that he’d heard quite a few stories about locals with remarkable cars. “I kept hearing about these cars, parked in barns and never driven,” he recalls. So he placed an ad in the classifieds and the Steamboat Car Club was born. 01 Lamborghini Diablo, 6.0 VT. Ron and Carol Tuchschmidt own this rare car, one of only two in the U.S. that are “California Silver,” a metallic paint flaked with gold. They enjoy taking the car out on an occasional road trip to Wolcott for lunch. Despite Internet statements that this model is capable of 200 mph speeds, Ron has never driven it that fast. He has had an opportunity to drive other cars at that speed on a closed course in California, using the space shuttle airfield. 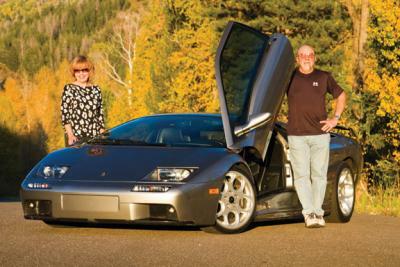 “It was sure fun to do,” Ron says, but adds that it takes a long time to get a car up to 200 mph and hypothesizes there’s probably no similar place in Colorado to take the Lamborghini. “We accept anything with wheels and a motor,” Bunn says. “We have members with trucks, even rat rods – old cars dragged out of the weeds; they aren’t shiny, they aren’t painted, they just go fast.”The club hosts monthly cruises in summer, when the weather cooperates. Drivers meet at the Transit Center, cruise Lincoln Avenue to the mountain, then return downtown to park in front of the courthouse and visit with passersby until dusk. MotorHead Madness is a one-day car show the club hosts on Yampa Street in mid-summer. The group also participates in the Fourth of July Parade and joins vintage aircraft at the Steamboat Springs Airport during the annual Labor Day Weekend WildWest Air Fest. For more information, contact steamboatcarclub@gmail.com.